The International Crisis Mappers Conference(ICCM) is almost here. The event, set to pull in Crisis Mappers from across the globe is slated to happen between November 18th and November 22nd in Nairobi, Kenya. Read more about the full ICCM conference here. 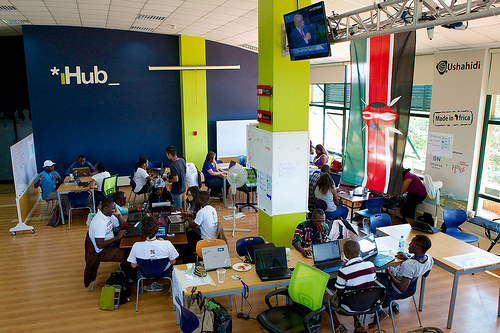 You’re invited to a skill share pre-conference day at the iHub on 19th November, 2013. This pre-conference training day is open to everyone within the community for a small fee($50.00), paid to the ICCM Conference. Participants are free to join a whole track or pick individual sessions within tracks to learn from throughout the day. The general aim is to have hands-on training and allow people to learn/share in smaller groups. I will be hosting a training session on all things Ushahidi, and Erik is hosting one on BRCK, so this would be a great time to satisfy any curiosities revolving around Ushahidi v3 and BRCK ;) A draft schedule of the day is available here(this will be updated in the coming days), and more details and sessions and the bios of speakers/trainers can also be found here. Sign up on the Crisismappers Network, then click “ICCM 2013” to find details on registration login. If you have any outstanding questions, send a note to heatherleson AT gmail DOT com with the subject line – ICCM Pre-Conference Help wanted. If you have questions about the full conference – please contact melissa AT crisismappers dot net. The sessions will offer a breadth of knowledge and expertise from security to research to map and data. There are a few more open spaces for the pre-training day, so be sure to sign up soon before they are sold out, and tell a friend! Hope you can join us! !